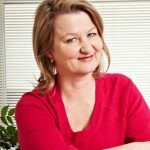 Hazel Hawke’s daughter joins Grey Matters as an occasional contributor. After supporting her mother, who had Alzheimer’s, Sue Pieters-Hawke has become a passionate advocate for dementia reform and healthy ageing. Here, we share an extract from her bestselling book Hazel’s Journey, detailing the events in the lead-up to her mother’s diagnosis. This is subscriber-only content but don't worry, you can sign up for free below. Already subscribed but don't have a password? Click Here. Honest conversations about growing older in Australia.